YELLOWKNIFE, CANADA (March 22, 2019) – Dominion Diamond Mines ULC (Dominion) and the organizers of the Canadian Championship Dog Derby are pleased to announce the schedule of races taking place in Yellowknife March 29-31, 2019. Dominion is proud to once again be the title sponsor of the three-day 10-dog race. The Canadian Championship Dog Derby reflects the evolution of dogsledding from the heritage of the trapline to a modern-day world-class sporting event. It celebrates athleticism and endurance while challenging dog racers to take on the harsh conditions of northern Canada in a 240-kilometre race, held over three days. Dominion is honoured to continue its partnership with the Canadian Championship Dog Derby, a Yellowknife tradition dating back almost sixty-five years. 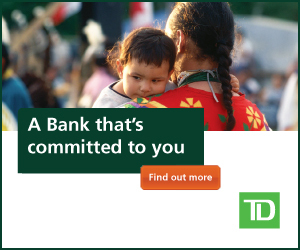 Dominion is committed to supporting local communities and encouraging traditional activities. The Dog Derby is held annually alongside the Long John Jamboree in Yellowknife. The Canadian Championship Dog Derby is the main event, consisting of several 10-dog teams from all over North America. Accredited by the International Federation of Sleddog Sports (IFSS), participants in this race can work towards achieving World Cup status. Further to the main event, the organizers host six additional races, which reflect the commitment to develop young mushers and involve a wide range of racers. Several races are designed for youth who are looking to build their experience, while others give an option for kennels to enter shorter distance competitions. Events will take place on Friday, Saturday, and Sunday (March 29-31) beginning each day at 9:30 am and continuing until approximately 4:30 pm (see the schedule below for more information). Sponsor: Stewart, Weir, MacDonald Ltd.
More information can be found at www.canadianchampionshipdogderby.ca as well as on the Facebook page @CanadianChampionshipDogDerby. Dominion Diamond Mines ULC is a Canadian mining company and one of the world’s largest producers and suppliers of premium rough diamond assortments to the global market. The company owns a controlling interest in the Ekati Diamond Mine, which it operates, and owns 40% of the Diavik Diamond Mine. Both mines are located in the Northwest Territories of Canada. In addition to its mining operations, Dominion has offices in Canada, Belgium and India. For more information, visit www.ddmines.com. The Canadian Championship Dog Derby is one of the oldest sled dog races in North America. The race begins with a mass start and spans 240 km over 3 days on Great Slave Lake. Accredited by the International Federation of Sleddog Sports (IFSS), participants in this race can work towards achieving World Cup status. The challenge of a long-distance sprint means it takes years of training to prepare a team to compete at this calibre. In 1955, the first Dog Derby was held. It was a chance for Northern people to demonstrate the skill and knowledge required to train a good team of dogs. Most Northern families’ livelihoods depended on using sled dogs as a form of transportation. Owning a dog team during the early to mid 1900s was comparable to owning a vehicle today. Sled dog teams in the NWT were prevalent all the way to the 1970s, when snowmobiles and automobiles took over as the mode of transportation. It was during this transition that dog mushing turned from a necessity into a sport – and has been celebrated as such ever since. For more information, visit www.canadianchampionshipdogderby.ca.